The figure represents more than 10% of the firm’s total workforce in the North. AIRCRAFT MANUFACTURER BOMBARDIER is to cut 490 jobs in Northern Ireland. The Canadian firm said it had reviewed its manpower requirements at its base in Belfast and regretted to confirm that “we must reduce our workforce”. The plane and train maker announced earlier this month it planned it to shed 5,000 jobs as part of a five-year plan to rein in costs and reduce debt. About 2,500 Bombardier workers are to be laid off in Quebec and 500 in Ontario while about 2,000 cuts would be overseas, the company said in its announcement two weeks ago. There have been mass layoffs at the company over the past three years, with about 14,500 positions cut around the world in the aerospace and railway divisions. Unite Regional Secretary for Ireland Jackie Pollock described the announcement as “a heavy blow for the local economy” and said that it represented “more than ten percent of the total workforce here”. This would mean that a disproportionate number of the five thousand jobs to be cut globally will be going in Northern Ireland. He said the jobs under threat ranged across all skillsets and occupations and did not include job losses among agency workers or sub-contractors. Pollock said that although the jobs would not go until February or March the announcement is “a cruel blow” for the Bombardier workforce a month before Christmas. Unite has feared for some time that Bombardier might be bringing forward large-scale redundancies but this news exceeds our worst fears. 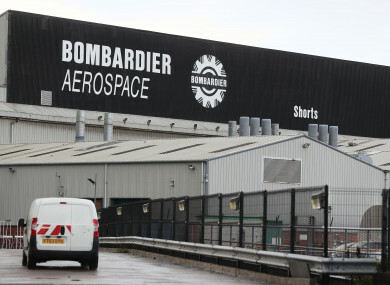 The union said it would be seeking an urgent meeting with Bombardier global management to express its anger and disgust at today’s announcement “and insist on an alternative plan being brought forward that does not lead to job-losses”. Email “'A cruel blow' before Christmas: Bombardier to cut almost 500 jobs in North”. Feedback on “'A cruel blow' before Christmas: Bombardier to cut almost 500 jobs in North”.